Social media sites and messaging apps have become a part of our daily lives, and that’s especially true for adolescents and teens. Messaging apps like KiK and Snapchat have exploded in popularity, but that doesn’t mean that they don’t come without risks. As these apps start appearing in news headlines, more and more parents are becoming aware of the messenger dangers that lurk on their kid’s mobile devices. In order to understand just why these apps can put kids at risk, parents need to know exactly what they are and how they work. KiK is essentially a chatroom that allows users to message others anonymously. Users can chat with one another, share, and connect via their smartphone. KiK says on their website that more than 40% of today’s youth in America are currently using the service, which has millions of users worldwide. Snapchat is another social messaging app that allows users to take photos and post short video clips that are then instantly deleted after just seconds. It’s a great way for users to share images with their friends, but it also allows strangers to connect with one another. Since the photos and videos self-destruct quickly, it’s become an appealing app for those seeking to send explicit material to other users. One of the biggest problems for parents with both of these apps is that they leave kids vulnerable to predators, simply because strangers have easy access to them. Many young people are trusting, so when someone messages them through KiK or starts following them on Snapchat, they can take that person at face value. 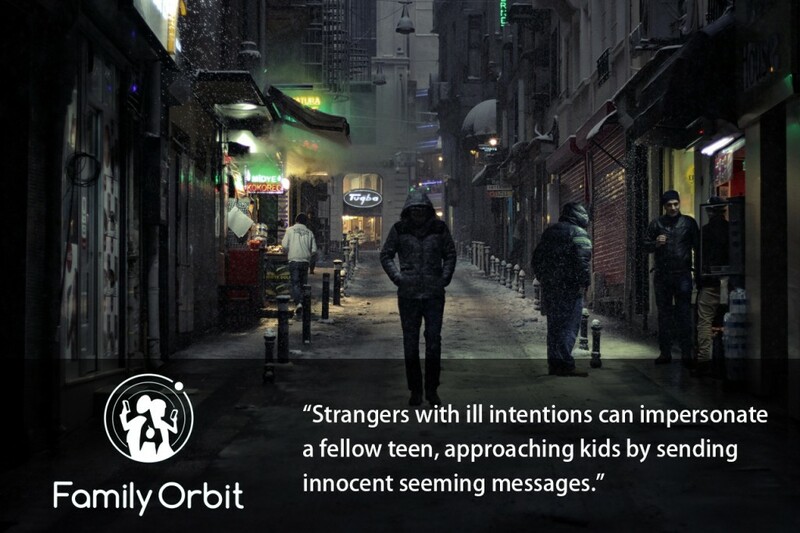 Strangers with ill intentions can impersonate a fellow teen, approaching kids by sending innocent seeming messages. The communications can ramp up and escalate over time. Just like with the chat rooms that were popular online years ago, and social media sites like Facebook, young people can be convinced to meet in person with strangers that they have “met” over the web. Parents always need to be vigilant about checking up on their child’s smartphones to see what apps they have downloaded and are using. If your kids are using KiK or Snapchat to communicate with friends and classmates, ask them to let you take a look at their account. Have them show you how it works, and how they are utilizing the apps. Speak with them about the risks of chatting with anonymous users and sending inappropriate images on either service. Make sure that they understand that they should delete and block any users that they don’t know, and that they should never send photos or give personal information out. With so many young people using these increasingly popular messaging apps, parents need to stay on top of things to ensure that their kids stay safe. Messenger dangers are real, and sadly, some families have found out just how scary these apps can be. By being aware of the potential dangers and discussing Snapchat and KiK safety with your teens, you can keep your family safe.